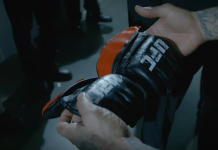 After months and months of venomous trash talk, Khabib Nurmagomedov and Conor McGregor finally got the chance to step into the cage together back in October, when they battled for the UFC lightweight belt in the main event of UFC 229. In the end, Nurmagomedov would earn a decisive victory over McGregor, stopping him via submission in the fourth-round — but not before pummelling him with plenty of ground strikes and even dropping him with a punch during a stand-up exchange. 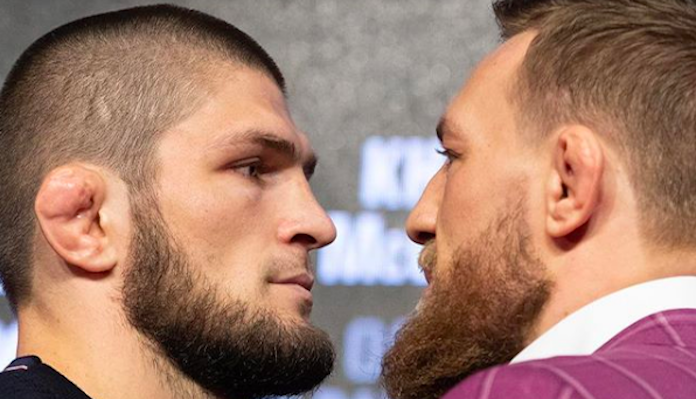 Given the amount of trash talk Conor McGregor unleashed ahead of this fight, it should come as no surprise that Khabib Nurmagomedov greatly enjoyed the experience of punching him. The lightweight champ opened up on his enjoyment of punching Conor McGregor during a recent Q&A session in Melbourne, Australia. Unfortunately, the violence continued after Khabib Nurmagomedov and Conor McGregor stopped fighting, as several members of their respective teams were involved in a chaotic, post-fight brawl. Nurmagomedov also discussed this wild scene.